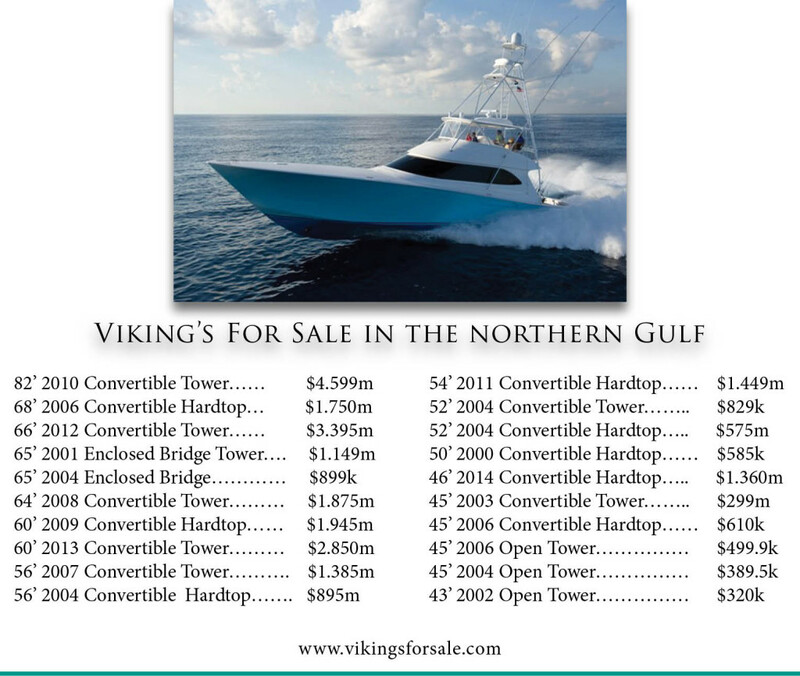 Vikingsforsale.com | Viking Yachts For Sale – located, tracked, and posted by Viking Specialist Matt Condon / United Yacht Sales, 534 Harbor Blvd, Suite 101, Destin, FL 32541 1-850-259-9900. WOW! I’ve been through this vessel – absolutely incredible. 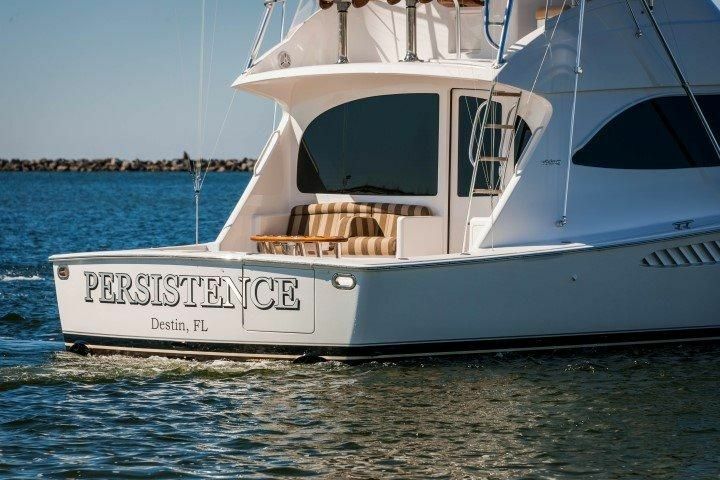 Call me Matt Condon / United Yachts of the Emerald Coast / Destin (850) 296-2628. 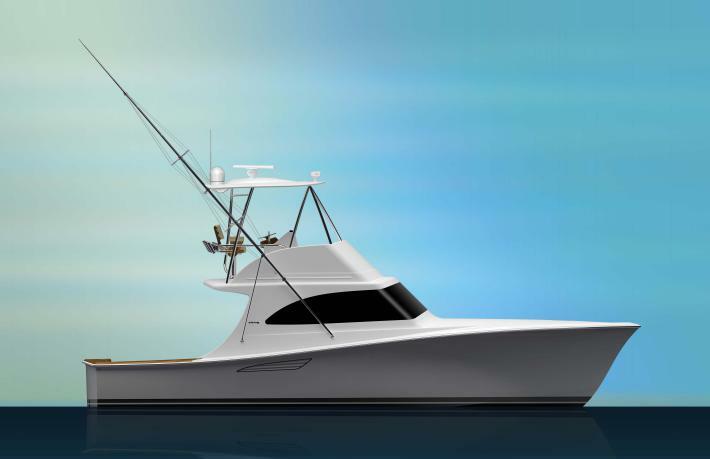 “UNTETHERED” is without a doubt a tribute to the ability of Viking Yachts to produce a custom 82′ Viking Convertible. The yacht’s interior is a showpiece of elegance and luxury. Her custom high gloss cherry wood interior accentuates the warm, classic elegance as you enter the yacht’s salon. Features include; crown molding, with real cherry and holly flooring. The 22 foot 4 inch beam provides for a spacious salon, transforming the space into a majestic living area with plush appointments. Salon amenities include; a 50-inch flat screen television, custom desk, electric blinds, and custom designed Channel Glass. The main living area is also equipped with a fully appointed galley with Subzero appliances, granite countertops, a day head, and dinette to port. 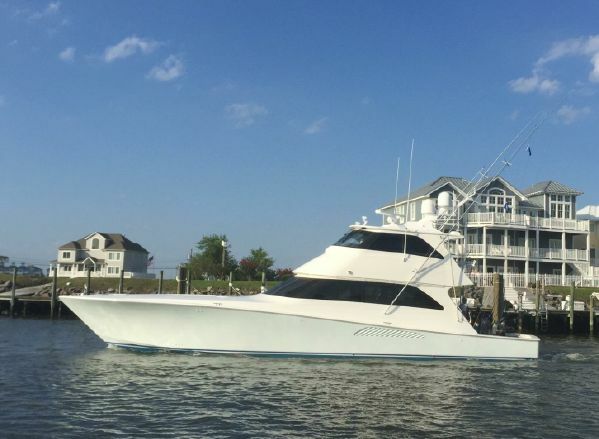 This 82 Convertible offers a spectacular master, two guest staterooms, and a spacious crew quarters. Each stateroom is appointed with its own private head and shower. The full beam master suite features a king size walk-around bed, his and her private ensuite heads, and walk-in closets. The crew quarters are accessed from the bow, complete with a crew galley. Her beautifully finished interior continues on the enclosed fly bridge and opens to the aft upper deck with a custom opening aft window allowing you to bring the inside and outside together. Above the enclosed bridge is a skybridge providing the option of riding outdoors on an open flying bridge. 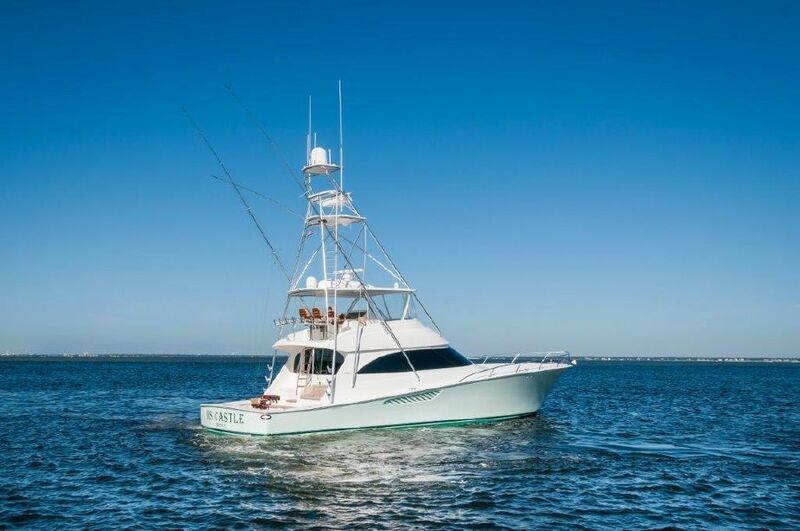 The bridge features a third helm station and accommodates plenty of seating for the whole family to enjoy. The communication, navigation and entertainment electronic package was designed with the industries best technologies as a state of the art Atlantic Marine Electronics package. “UNTETHERED” must be seen to be appreciated!! – Over the top electronics packages! 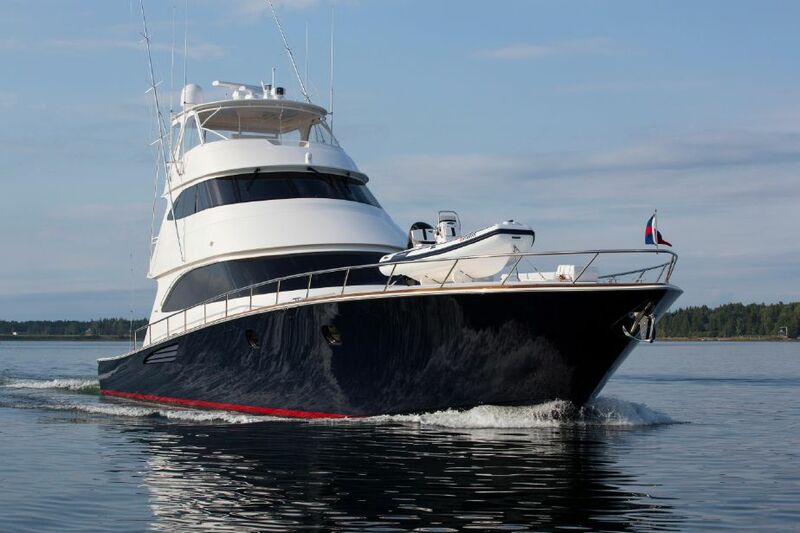 Simply magnificent vessel – listing courtesy of Galati Yacht Sales. 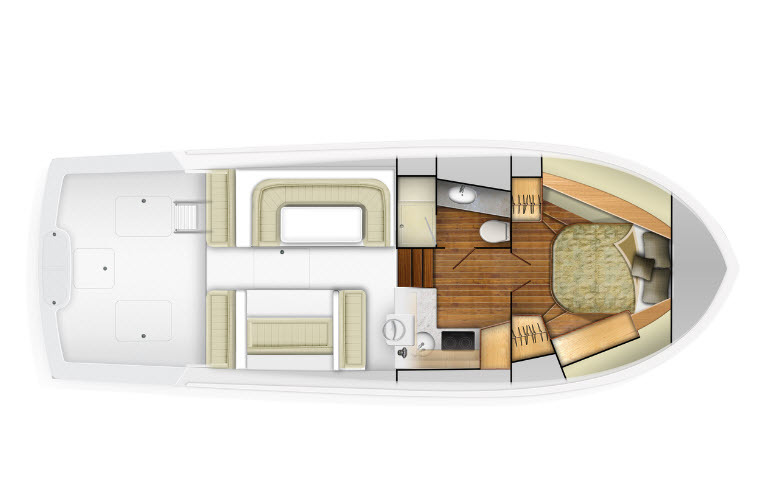 The Bandit has a unique layout with the Master Stateroom being forward with en suite head and office. 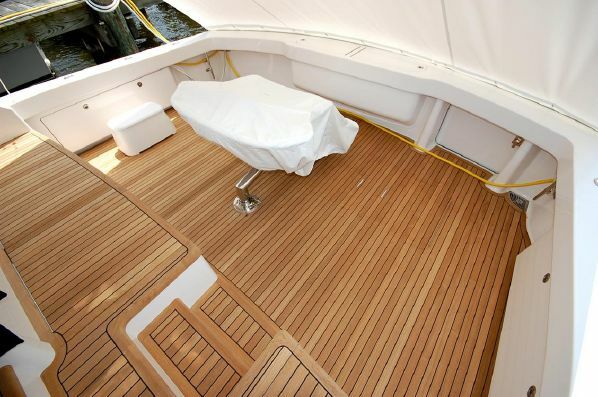 Her well appointed interior features teak satin finished cabinetry and hand picked granted throughout the vessel. With the full 5 stateroom and 6 head layout she can sleep twelve people very comfortably. 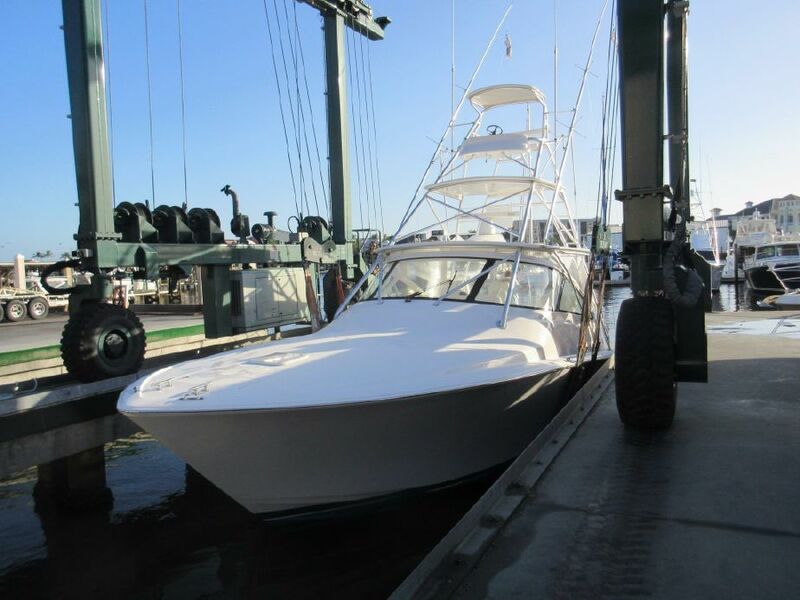 She has always had the best of care from an owner who spares no expense and a professional crew. 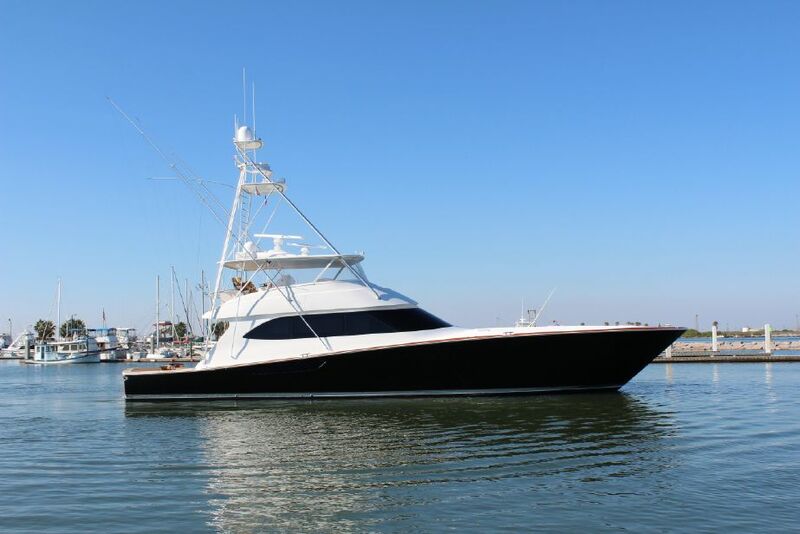 Listing courtesy of Fox Yacht Sales in TX.